Hose Trolley HT 3.420 Kit 1/2" 26451660 https://www.kaercher.com/ie/home-garden/watering-systems/hose-storage-and-hose-trolley/hose-trolley-ht-3-420-kit-1-2-26451660.html Compact hose trolley with height adjustable handle, angled hose connector, free-wheeling crank, and innovative folding function for space-saving stowage. Fully assembled. 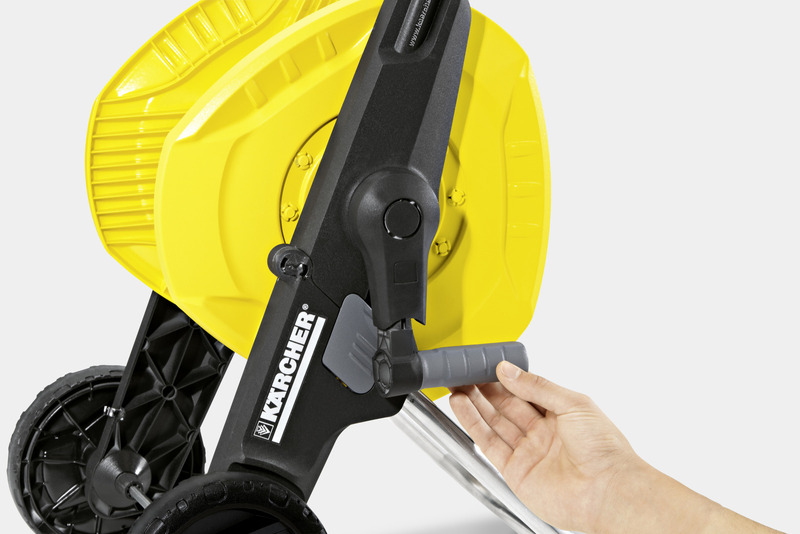 Compact hose trolley with height adjustable handle, angled hose connector, free-wheeling crank, and innovative folding function for space-saving stowage. Fully assembled. 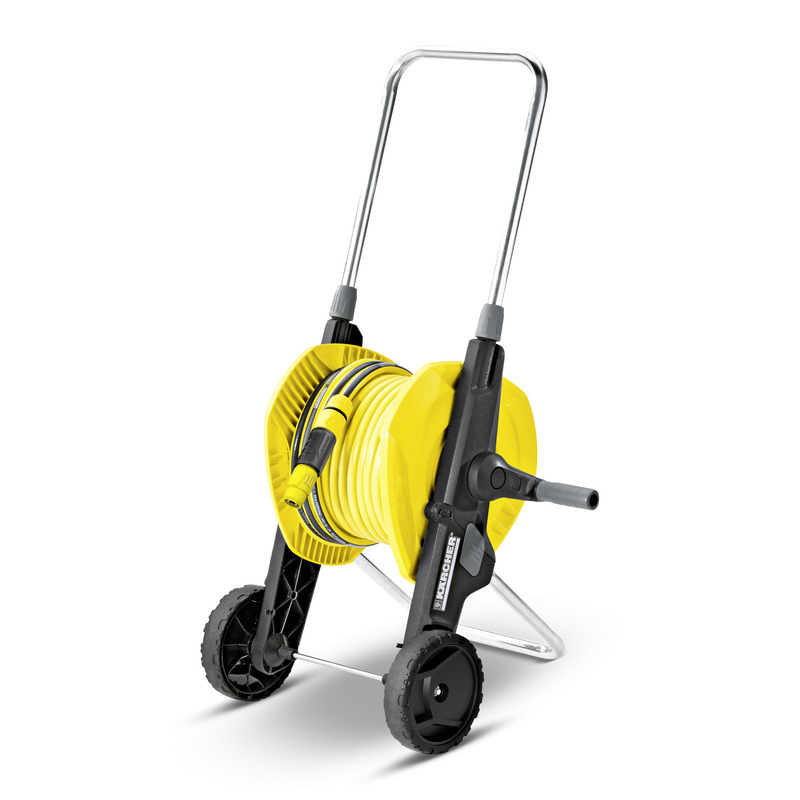 The ready-to-use Hose Trolley HT 3.420 Kit 1/2" serves perfectly when watering mid-sized to larger areas and gardens. 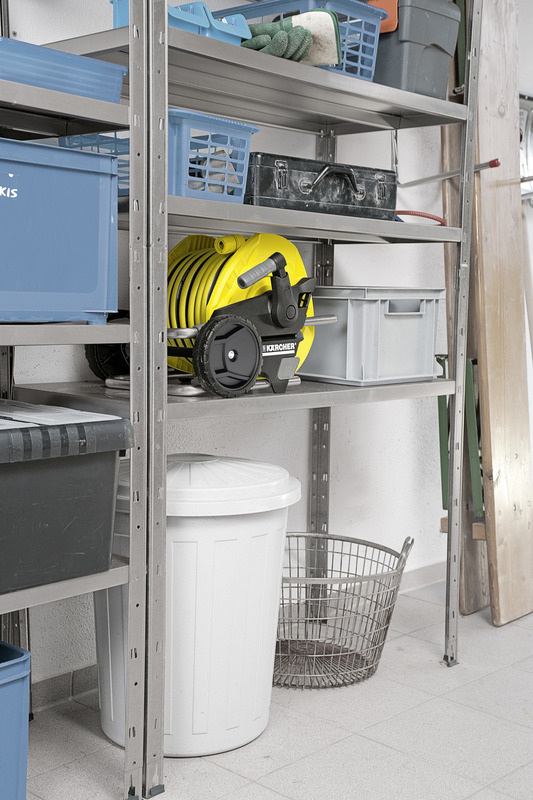 Thanks to its innovative folding function, it can be stowed away without difficulties and very space-saving. 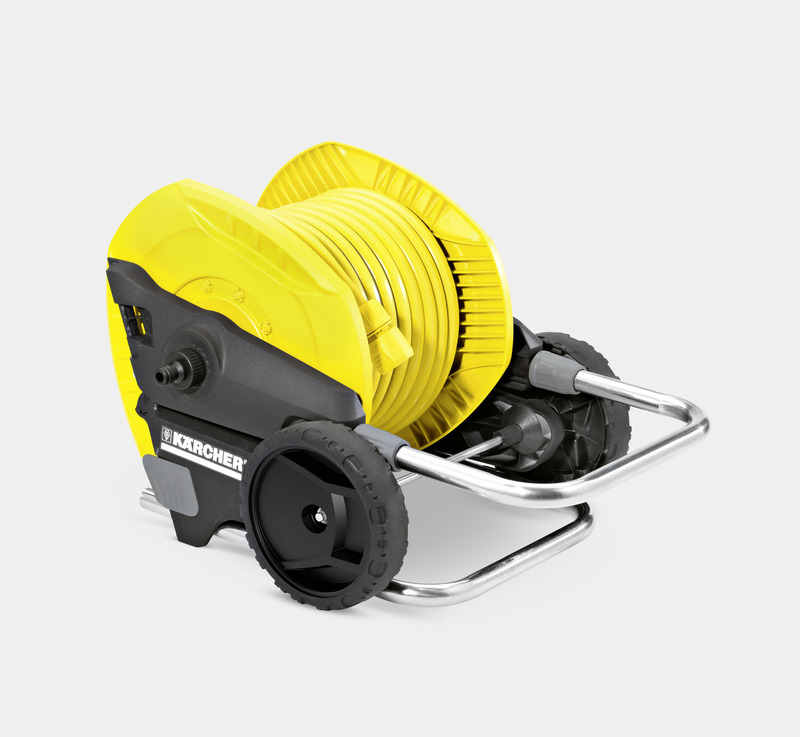 The features: height adjustable handle, 20 m 1/2" PrimoFlex® hose, Nozzle Plus (2.645-177), 3 x hose connector, 1 x hose connector with Aqua Stop, G3/4 tap adapter and G1/2 reducer. Capacity: 40 m 1/2"-hose or 30 m 5/8"-hose or 20 m 3/4"-hose. Fully assembled. Watering with Kärcher is the smart way to water! Capacity: 40 m 1/2" hose or 30 m 5/8" hose or 25 m 3/4" hose. 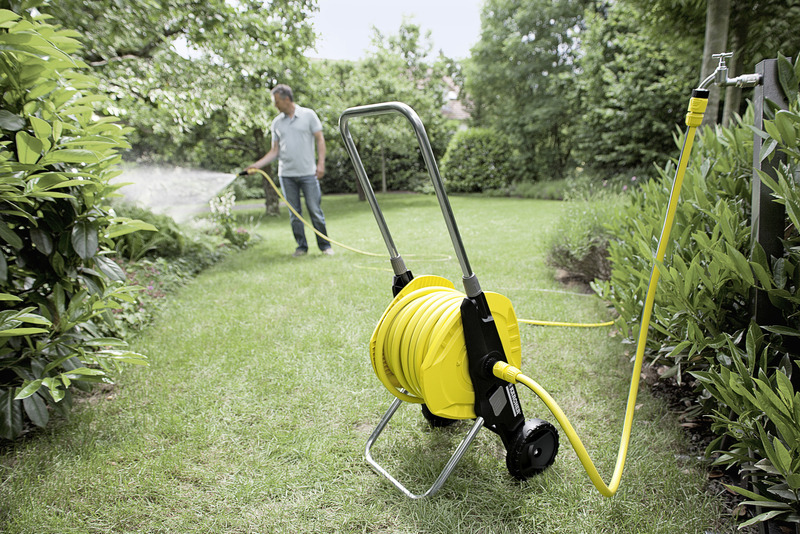 For watering medium-sized to large areas and gardens. Hose Trolley HT 3.420 Kit 1/2" is rated 4.0 out of 5 by 1. Rated 4 out of 5 by Lemy from Good compact product but far too light weight Great product but I find the trolley is of sick light weight construction it falls over all the time and makes it difficult when winding in hose. Hose quality is excellent.